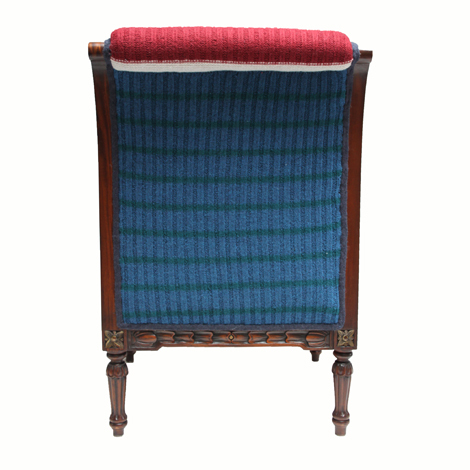 Archie was commission from a client looking for a modern twist on a classic shaped chair to a compliment the decor in a period property. Matching colours from the ornate Victorian fireplace tiles we were able to create a unique colourway to sit perfectly in the room. 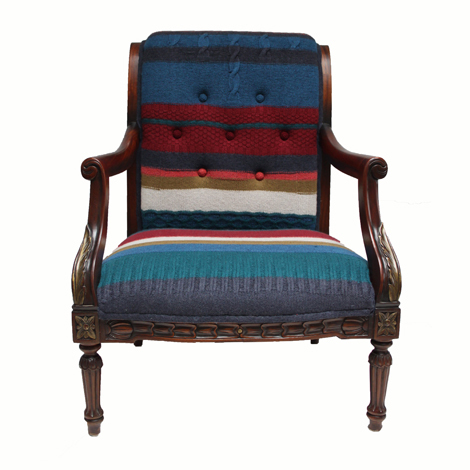 Covered in felted stripe seat which leads from the seat up the back, with deep-set crocheted buttons and varnished wood frame.